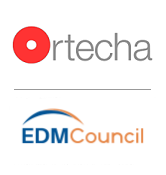 Ortecha’s Peter Youngs is leading, in collaboration with Mark McQueen, the EDM Council’s DCAM 2.0 Best Practice Working Group. The working group consists of selected members whom have Data Management Capability Assessment Model (DCAM) experience and is tasked with publishing the next version of DCAM this autumn. The focus in this release will be to simplify, clarify and improve the DCAM components and capabilities. We’ll publish updates as the group progresses.